Posted on July 18, 2014 October 1, 2014 by Nicki Lisa Cole, Ph.D.
Kate Cairns is troubled by the intersection of post-feminist and neoliberal ideologies in contemporary women’s “foodwork,” and after speaking with her for an hour, so am I. An impressively productive scholar with 18 research publications to her name, Kate has identified an understudied and under-theorized aspect of how unregulated corporate capitalism in food and agriculture is reproduced: the gendered burden of individual responsibility for care born by women. She fears that, in a society in which women are socialized to take personal responsibility for protecting children and loved ones from the risks of the corporate food system, we encounter real barriers to progressive social change. She aims to do something about it as a feminist researcher, teacher, and writer. 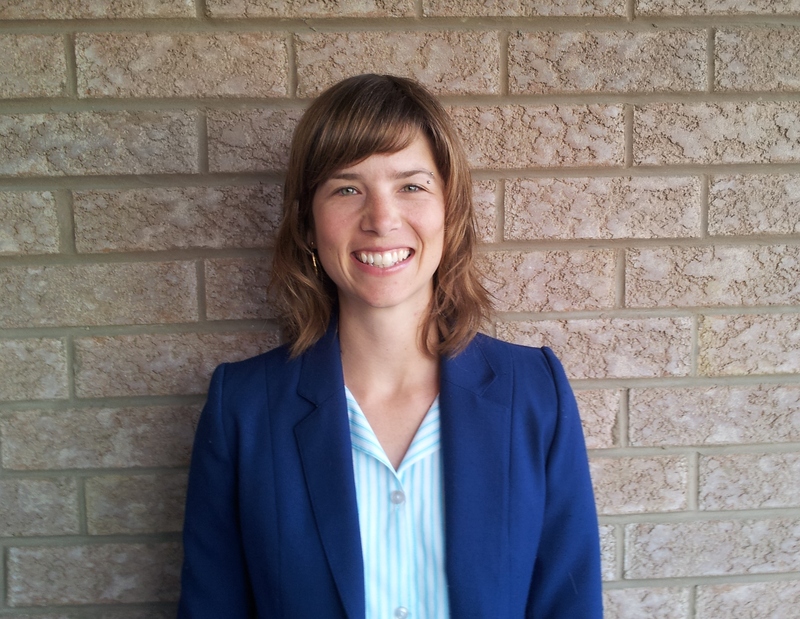 While she studied sociology of education at McGill, Kate quickly realized that her own childhood schooling experience, one situated in a working class rural community of just a few hundred people, was not represented in the literature. Critical realizations about her own marginalized schooling experience inspired a passion for studying how inequality and other social forces are connected to the formation of subjectivity, and how they shape the futures we are able to envision for ourselves. These interests inspired Kate’s doctoral research into how rural youth think about their future in the context of educational programs infused with neoliberal notions of self-reliance and mobility. Since then, her research focus has shifted to food, as Kate believes that it provides a provocative gateway to understanding these same sociological questions. She explains, “I have found food in particular, and consumption studies more broadly, as a real lens into this dynamic between subjectivity and inequality. Through food, we can look at the inequalities of a capitalist economy, we can look at dynamics of identity, culture, class, race and ethnicity.” With her colleague Josée Johnston, Associate Professor of Sociology at University of Toronto (a member of our section council), Kate is writing a book on food and femininity that probes these issues (forthcoming from Bloomsbury). She and Johnston examine how food is deeply connected to gender and contemporary standards of femininity, including what it means to be a good mother, a health conscious consumer, and an environmentally conscious citizen. They have found that, despite the fact that many women in North American societies believe that we live in a post-feminist world, foodwork is a form of labor that is still fundamentally gendered. Along with Johnston and Rutgers sociologist Norah MacKendrick, Kate analyzed the ideal of the “organic child” in an article published in the Journal of Consumer Culture. She explained to me that in a context of seemingly pervasive risk, many mothers conceive food risk as one that they can control and ward off. They also feel, in a profoundly emotional way, that it is their individual responsibility as mothers to provide this kind of care for their children. Kate’s research reveals that food is richly connected to how women conceive of being good mothers in today’s world. Trouble is, viewing food this way turns a social problem into a personal one. This management of risk and approach to mothering takes the capitalist system off the hook, while simultaneously posing it as the solution to the problems it has wrought. Kate is critical of this individualized, consumerist brand of female empowerment so popular today. From her vantage point, we must overcome this, and reclaim collective empowerment and struggle in order to make social change. Based on these findings, Kate argues that the role of gender in ethical consumption has been under-studied and under theorized, and that today, it is women who overwhelmingly bear the burden of striving to be and raise ethical consumers. Ethical consumption, Kate states, is now a part of women’s gendered care work, as care work in the twenty-first century now extends beyond the home and the immediate family to include far-flung laborers and all of the earth’s resources. Kate is concerned that this particular version of a “good mother” distances poor and working class women from attaining ideal motherhood in a consumerist landscape. The ‘organic child’ ideal assumes privileged access to economic and cultural resources, and left many poor and working class women feeling guilty and stressed. Significantly, Kate and Johnston found in their study that it was primarily the women who couldn’t purchase this ideal who were quick to call for greater regulatory responsibility on the part of the state. Additionally, she has strong reservations about a model of social change that pins all hope on children, and misses the socio-structural causes of systemic problems in the production and distribution of food. Kate is committed to facilitating social change around these issues through her work. Her book with Johnston is designed to appeal to both academic and general reading audiences. It is drawn from research that the two conducted with a feminist focus group method, in which participants invited friends to their homes for a conversation over food with the researchers. Kate hopes that such an approach will “create the possibility that these conversations might continue outside of our research, that they were not just a tool for us to extract data from these women’s lives, but they were sites for sharing and critical reflection, and for community building that could be rewarding for the participants as well.” By writing the book in an accessible manner for a general reading audience, she hopes that the book itself will carry on the mission of the research by providing tools for thinking critically about problematic, individualized notions of responsibility. Also with Johnston, Kate is now working on a revolutionary introduction to sociology text, on contract with Routledge, which couples the sociological imagination with studies of consumption to give students a thematic and engaging entrée to the discipline. Working to bridge the divide between the academy and the public, the text will incorporate popular websites, blogs, and news articles designed to help students see connections between theoretical concepts, research, and the real world around them. Kate looks forward to teaching in the area of children’s geographies at Rutgers this fall, and is eager to begin a new phase of research in Philadelphia. Her relocation will allow her to provide a comparative component to her project in process, which is a critical examination of educational initiatives designed to connect children to food. Of this project, she said, “I’m interested in the way that connecting children to their food is seen as the promise of a socially responsible and sustainable and healthy collective future. We can see how so many current anxieties and hopes about the food system are projected onto young people as the promise of the future.” Her research will focus on how youth experience school garden programs, in light of the fact that the programs and the youth themselves are posed as the solution to contemporary social problems. With so many championing practices that get children “back to nature” and that connect them to agriculture, both of which certainly have merits, it is refreshing to hear a vibrant young scholar offer smart, bigger picture critiques of them. Kate Cairns is one to watch. Published by Nicki Lisa Cole, Ph.D. Writer, sociologist, public intellectual, twenty-first century nomad. View all posts by Nicki Lisa Cole, Ph.D.